Mining city Karaganda. Sights of Karaganda. Karaganda is known far outside Kazakhstan. And not only because of the famous expression. Karaganda is a mining town with a great history. In times of repression Karaganda became a city of writers, scientists, artists and doctors. 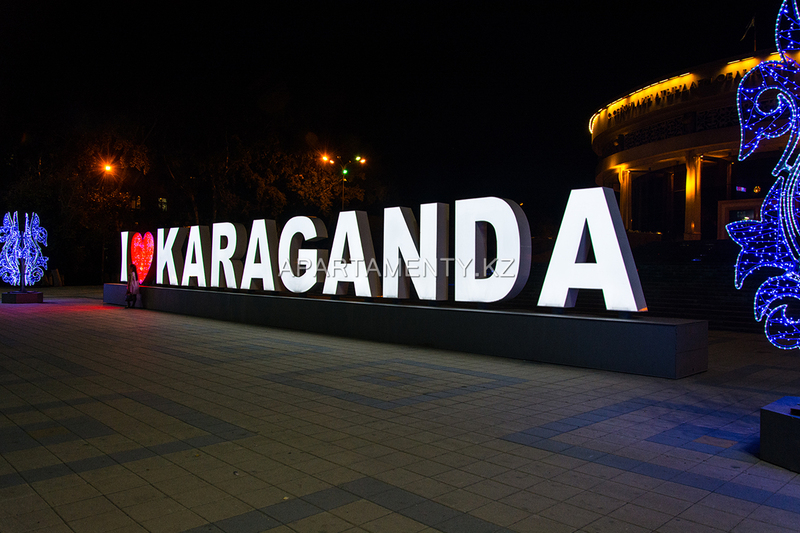 Now Karaganda is a scientific, historical and industrial center of the country. Here there are more and more cafes and restaurants, theatres and interesting places to visit. Main street is considered the street Bukhar-Zhyrau. It focused a lot of attractions: the monument of Bukhar Zhyrau, the Ice Palace, city circus, shopping centers, Sports Palace of Nurken Abdirov, the cascading fountains. There are Central city Park and a small promenade near it. 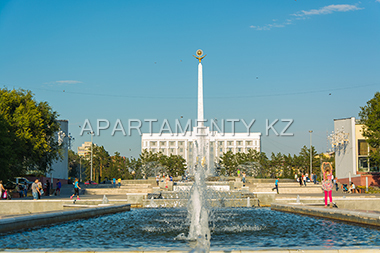 Hotels in Karaganda are concentrated in the Old centre and in the South-East of the city. 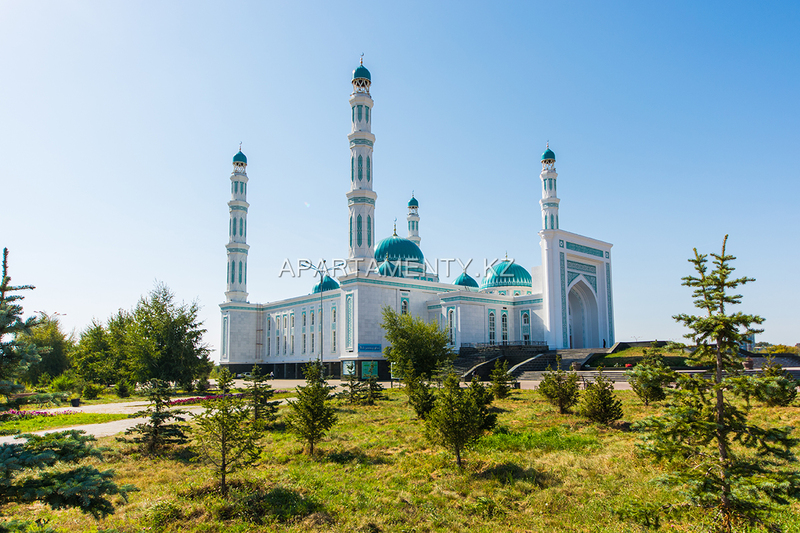 Karaganda city is the birthplace of stars of world Boxing, Gennady Golovkin and Natalia Ragozina, hockey player Konstantin Barulin, leader of the Chechen Republic Akhmad Kadyrov. Here lived and learned the first Kazakhstan cosmonaut Tokhtar Aubakirov and first President of Kazakhstan Nursultan Nazarbayev. The uniqueness of Karaganda in that it is the only in Kazakhstan a satellite city. Around Karaganda, there are over 20 towns and villages. The main attraction of the city is that - inhabitants are miners. Every third inhabitant of Karaganda working in coal mines. Therefore, the city has many monuments to the workers of this demanding profession. 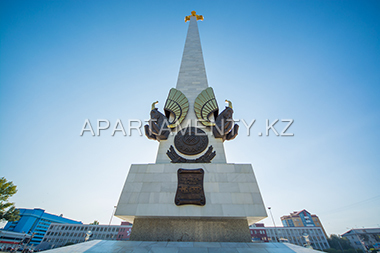 The hallmark of Karaganda is the monument "miners glory". Young people jokingly call them waiters. Across the road is the Palace of culture of miners, six sculptures: a miner, a builder, a shepherd with lamb, the farmers with a sheaf, dombra bard and warrior. The people called them "six of not drinking". In Karaganda there are very many houses of Soviet times. The city management is in no hurry to say goodbye to them, but on the contrary preserves and restores historic sites. The old center is small and cozy houses, restaurants, theaters and shops. 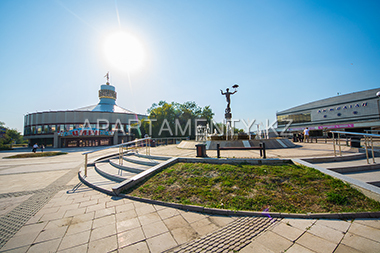 Walk along Lenin street and go to the regional Museum. If you want to see a new city, go to the South-East. Here high-rise residential complexes, modern restaurants and clubs. Also in this area you can rent an apartment. Exploring the city is best to start with a stroll through the Bukhar-Zhyrau. In Central Park the adventurous can ride the attractions. A walk on a catamaran or boat perfectly relaxed. 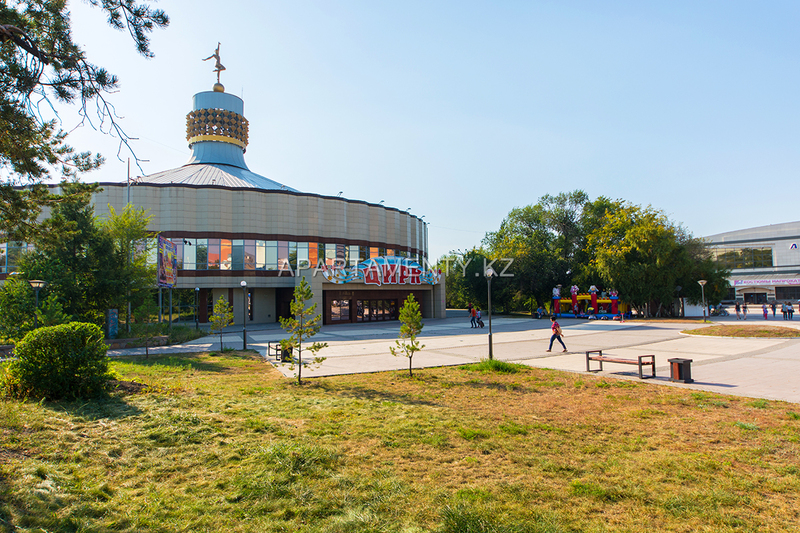 To be closer to the art go in the Kazakh drama theatre of Seifullin, Russian drama theatre of Stanislavsky, Regional Museum, Museum of fine arts, the Theatre of musical Comedy. The new monument in the city - a monument to the phrase "Where, where? In Karaganda". The idea to put this monument belongs to Bari Alibasov. This is the only monument in the world, which is set catch phrase. In a cozy alley of the Boulevard of Peace you will find restaurants and flower shops. It is a favorite place of students and young couples for walking. *Hotels of Karaganda for every taste and budget. Choose the comfortable rooms of luxury and economy on our website. *Modern hostels in the centre and residential areas of the city that meet all international standards in convenience and design. Hostels now is not only the most budget option, but also the most popular. 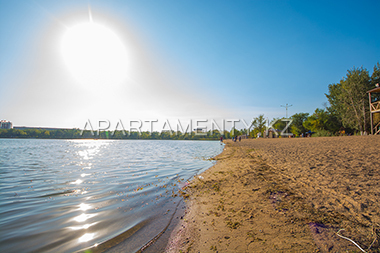 *Rent an apartment in Karaganda. The city is growing every day and the number of new cozy apartments too. On our site you can choose an apartment in Karaganda in any area of the city and directly contact the owner without intermediaries. Where, where? In Karaganda! Karaganda is known far outside Kazakhstan. And not only because of the famous expression. 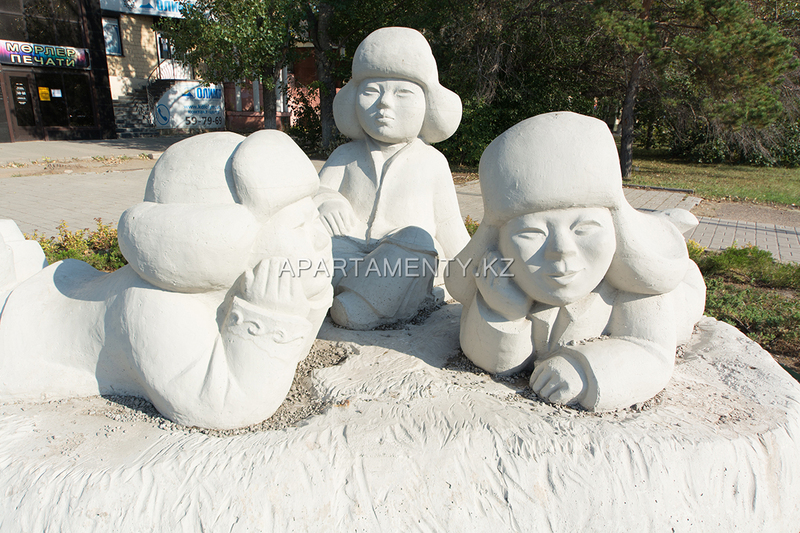 Karaganda is a mining town with a great history. In times of repression Karaganda became a city of writers, scientists, artists and doctors. 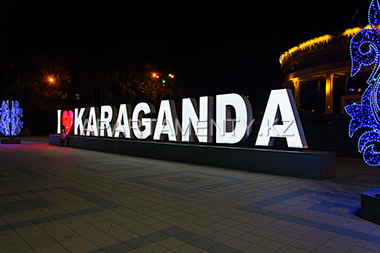 Now Karaganda is a scientific, historical and industrial center of the country. Here there are more and more cafes and restaurants, theatres and interesting places to visit. Main street is considered the street Bukhar-Zhyrau. Exploring the city is best to start with a stroll through the Bukhar-Zhyrau. In Central Park the adventurous can ride the attractions. Entertainments of Karaganda. Cafes, bars and restaurants in Karaganda. Shopping in Karaganda. It's the long-awaited weekend and you decided to get together with friends to relax. Where to eat out and spend time in pleasant company in Karaganda? 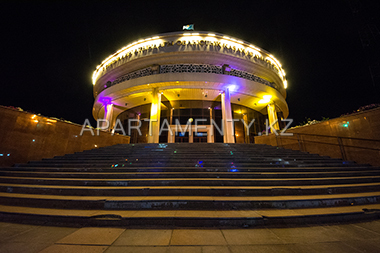 TOP-10 cafés, restaurants, night clubs Karaganda on our website, as well as the ability to rent an apartment in Karaganda in your desired area and to book a room in hotels of Karaganda. Sports in Karaganda. Sports in Kazakhstan. Karaganda - is not only a mining town, but also sports. People here really like hockey. 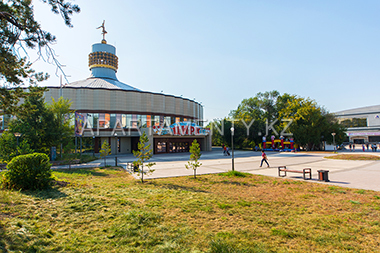 On the "Karaganda-arena", which is the home of the hockey club "Saryarka", is performed many different activities. After discovery and exploration of the coal basin in the Karaganda formed a football team "Shakhter". Boxing holds a special place in life, not only for Karaganda, but for every citizen of Kazakhstan. Karaganda is home to such famous athletes as Serik Sapiev and Gennadiy Golovkin.